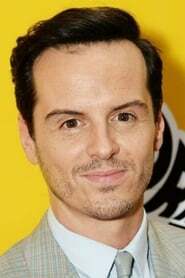 Andrew Scott (born October 21, 1976) is an Irish film, television, and stage actor. He received the 2005 Laurence Olivier Award for Outstanding Achievement in an Affiliate Theatre for the Jerwood Theatre Upstairs production of A Girl in a Car with a Man and an IFTA award for the film Dead Bodies. Scott's notable television roles have included Paul McCartney in the BBC television drama Lennon Naked and arch-villain Moriarty in Sherlock. Description above from the Wikipedia article Andrew Scott, licensed under CC-BY-SA, full list of contributors on Wikipedia. as "Max Denbigh / C"
as "Private John "Cowboy" Hall"
as "Soldier on the Beach"